Fridge - 38 litre Danfoss BD35F 12 volt compressor with ice box and battery protection Sink - (with external outlet) - Stainless steel Smev sink with darkened glass protective lid Hob - Stainless steel Smev twin hob with darkened glass protective lid and 904 gas regulator Water - Stainless steel Smev sink with 12 litre water supply, 12v micro switched tap and in-line submersible pump Electric hook-up - with flush external power inlet Built-in RCD with 2 three-pin socket and 12 metre connection cable Leisure Battery - 110 amp battery, battery tray and split charge wiring loom. 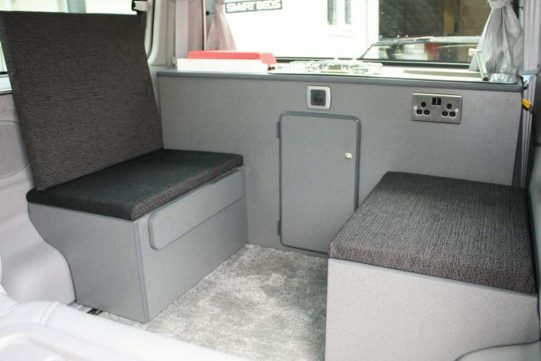 12v Socket outlet - mounted to conversion and wired to leisure battery Storage - plenty of storage space for both food and clothing Top-locker - twin food storage lockers located above conversion with built in downlighters Sliding bench seats - a versatile layout easily converted to a bed, with built-in storage space Upholstered cushions - with quality, zipped, washable covers in a choice of colours Stowaway rail-mounted table with hinged leg Fire extinguisher Please note: Campervan Conversions are not available to purchase online. 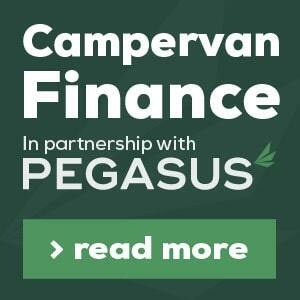 If you are interested in any of the conversion options then please contact us on 01271 373853. Fridge - 38 litre Danfoss BD35F 12v compressor with Ice-box and battery protection Sink - (With external outlet) – Stainless steel smev sink, with darkened glass protective lid. Hob - Stainless steel Smev twin hob with darkened glass protective lid and 904 gas regulator. Top locker storage with 3 integral LED downlighters - perfect for tea, coffee and biscuits. Power Management Unit (PMS3) with 240v to 12v power inversion, secondary split charge relay, 18 amp battery charging, battery condition monitor and fused outlets. Water - 20L, In-line submersible pump 12v micro-switched tap. Electric hook-up - With flush external power inlet. Built in RCD with 2 three pin socket and 12m cable. Storage – plenty of storage space both for food and clothing, including a corner closet. 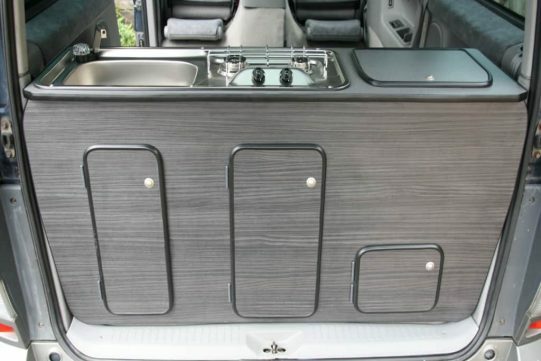 Rear facing small bench seat with upholstered top and integral storage - allows 4 people to sit around the centralised table.- can also accommodate a porta potti if requested. Smartbed Seating system, two integral shoulder belts, air-ram assisted close, bearing runner drawerout and multiple recliner lock off positions. Four inch cushions - with quality coverings in a choice of colours. 12mm Ply flooring with Altro non-slip covering. 12v power outlet socket 12v LED lighting 110 amp leisure battery - a powerful battery with battery tray, clamps, and split relay charging. 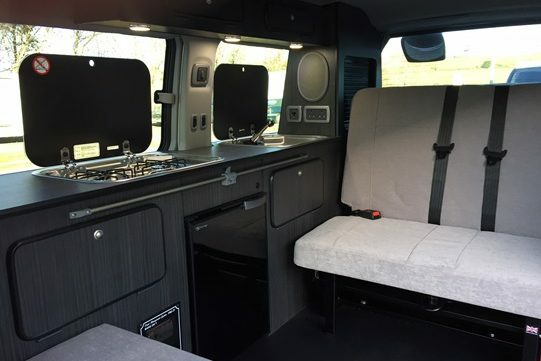 Stow-a-way table - rail mounted with hinged leg Choice of finishes Fire extinguisher Please note: Campervan Conversions are not available to purchase online. 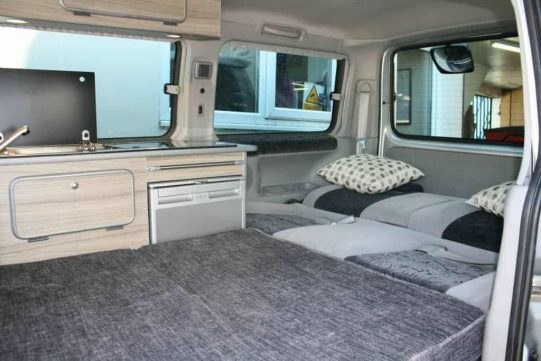 If you are interested in any of the conversion options then please contact us on 01271 373853.